Welcome to my Friday bonus feature called Karen’s Killer Fixin’s **Author Special**!! Today, in lieu of one of my own recipes, I’m going to introduce you to a new author who will share one of her favorite recipes. Not only will you and I occasionally learn how to make something new and delicious, but we’ll get a chance to check out some wonderful authors. Introducing author, CATE BEAUMAN, and her favorite recipe for EASY APPLE BRAID! Hi, Karen! Thanks so much for having me on Karen’s Killer Fixins. 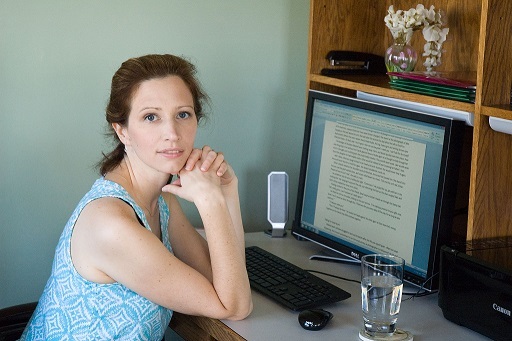 I love connecting with readers of romantic suspense and the idea of blending killer recipes with suspenseful reading is fantastic! I would love to celebrate my first visit to your blog by offering one of my favorite fall recipes to go along with my latest best seller – Waiting For Wren! Cate Beauman’s newest best seller is available now through Amazon and Barnes and Noble. Visit www.catebeauman.com for more information and to read excerpts from her romantic suspense series The Bodyguards of L.A. County. P.S. We’re at 118 recipes and counting with this posting. Hope you find some recipes you like. If this is your first visit, please check out past blogs for more Killer Fixin’s. In the right hand column menu, you can even look up past recipes by type. i.e. Desserts, Breads, Beef, Chicken, Soups, Author Specials, etc. Peel apples and cut into small chunks. Mix apples with brown sugar, flour, and cinnamon and bake covered in a pie plate for 15-20 minutes until apples are tender. While mixture is baking, roll crescent rolls out flat (length-to-length), using a rolling pin to smooth junction between the two rolls so that you have one long piece to work with. Cut two-inch slits evenly along the length of the dough (to create flaps to braid). Pour hot mixture over center of crescent rolls, then braid the flaps over the mixture. Top with glaze while still warm and enjoy. 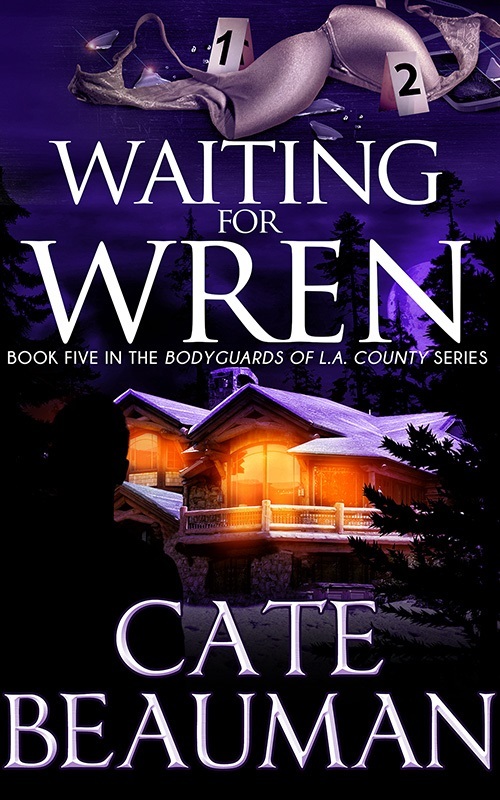 **SPECIAL ANNOUNCEMENT: Cate will give away an ebook (Kindle or Nook) copy of her novel, WAITING FOR WREN, to three of her lucky readers who comment on her Monday Interview or Wednesday Book Bench blogs!! Don’t miss this chance to read this bestselling new release!! Thanks, Cate, for sharing your stories with us! Love this excerpt! Thank you so much for sharing!